They say you can’t go home again, and they would be right. Unfortunately life is progress, some of it good, some bad and all of it changes who we are. Home then becomes a memory, polished by the changing times into the perfect shiny gold ring that stays elusively out of our grasp. Physically taking ourselves to the place our gold ring resides sometimes shows us the ring in our mind bears little resemblance to the reality of the brass circle it always was. The wondrously large home with the huge yard of our childhood in actuality was a humble 2 bedroom bungalow with a postage stamp patch of weed growing in the front. However, we, because of our minds ability to play tricks have made it the perfection in memory that it never achieved in life. Then there are the times when home really was perfect, but tragedy took it away from us, never to be seen again in this life. The 70’s. Era of bell bottom trousers, platform heels, and Southern Rock. Bands like Marshall Tucker, The Allman Brothers, The Eagles and Lynyrd Skynyrd. It all seemed to come to an abrupt end with a plane crash in 1977. Among the dead were Ronnie Van Zant, Steve and Cassie Gaines and it seemed that the Skynyrd Nation would be no more. Nothing left but ashes, our memories and the Classic Rock radio stations that still played “Freebird” or “Sweet Home Alabama” or any other of our favorite Skynyrd tunes. The surviving members would get together and tour, playing the old songs, but nothing new occurred until the release of “God and Guns” in 2009. An entire CD of NEW Skynyrd tunes. Proof that many members may not still be with us, but the remainder and The Skynyrd Nation were “Still Unbroken”. 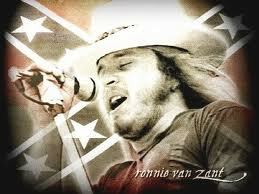 When I close my eyes, Johnny Van Zant almost sounds like Ronnie. Almost. It was funny, but the release date then was September 26. Available at my local Walmart and on September 26, 2009 I was there to purchase the only copy my local Walmart received in it’s shipment. It has been played weekly ever since. I had hoped there would be another release of something new, but it didn’t appear to be in the cards. Then a friend sent me the information that on August 21 of this year, Lynyrd Skynyrd will be releasing another new CD. It’s called “The Last of a Dying Breed”. Again I’ll be going home and buying this CD, because like the rest of them, my memories are still alive and unbroken. Added by Butterose on September 6, 2016. Just to inject a bit of trivia…Lynyrd Skynyrd was named after their High School gym coach ( Leonard Skinner ), who apparently was a bit of a hippy hater. Later they seemed to mend the fences and Skinner allowed them to add a pict of him inside their 1975 Nuthin’ Fancy album.